While preparing my session about In-Memory OLTP for internal audience, I learned something new about placement of checkpoint files. In case you don’t know about checkpoint files, I would like you to read about checkpoint (part 1 and part 2). Data files and Delta files are created in round robin fashion. Let’s assume that we have two drives W and X and we want to distribute the IO load of In-Memory table. In general, for disk based table, what we used to do? Create the file on each drive? Yes, that would work for disk bases table but there is a little behavior which we should know before doing such thing for in-memory tables. 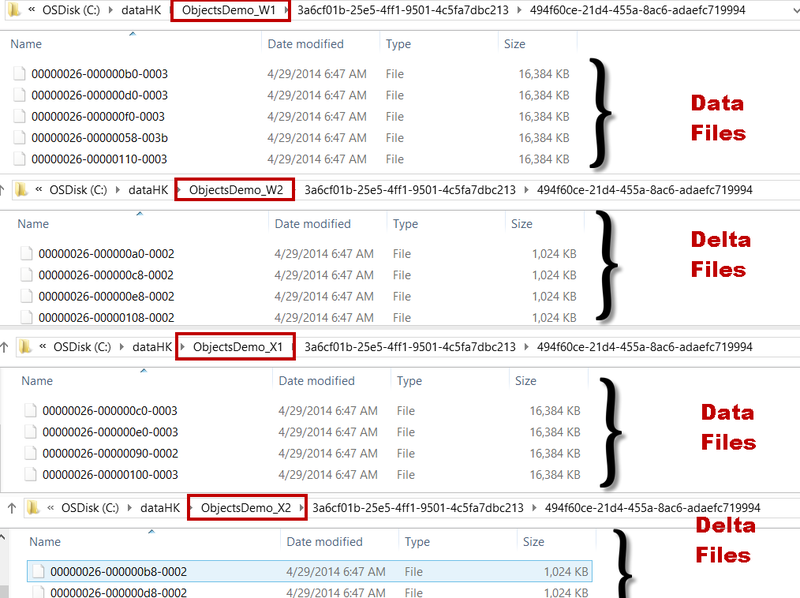 For demo purpose, I am going to use two folder on same drive to mimic two drives. 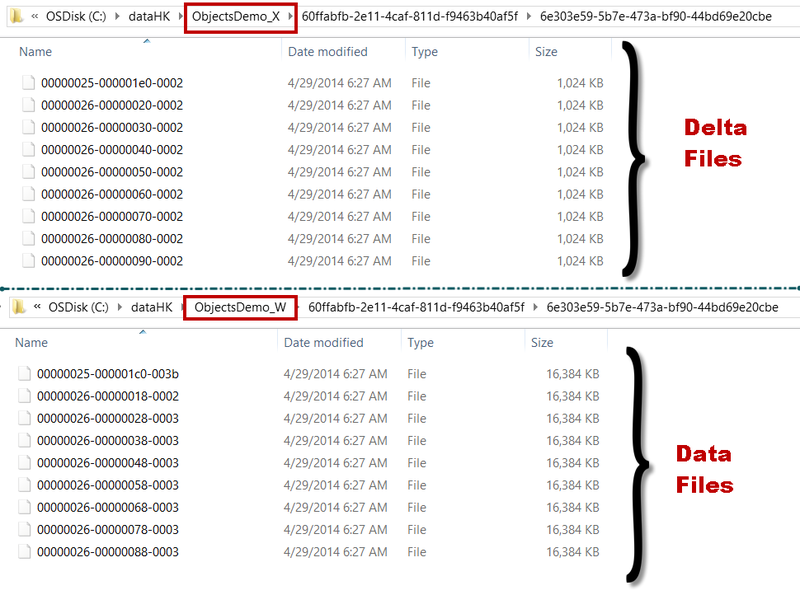 So, I have two folders “ObjectsDemo_W” and “ObjectsDemo_X” to represent W and X drives. Once we create a in-memory table, we should see checkpoint file pairs (CFP) created. Let’s have a look at folders now. Here is the tip: Since we have even number of drives, we should create two folders on each drive and place files in 4 containers instead of 2 containers. We need to remember that first two containers should be from same drive. W1 and W2 are two container for mimicking two folder on W and same for X as well. Now, if we create a table, due to round robin, we should see below. Now we have DATA file distributed and should have better usage of both driver. What you should do if you have ODD number of drives? Well, nothing because of round robin, data and delta files would be distributed automatically. Bottom line: If you have plans to create file stream containers on odd number of drives, create them using trick mentioned above. If you have even number of containers then no special consideration. During my interaction with customers, catalog views and DMV words are used interchangeably. In reality, there is a difference between the two. Till SQL Server 2000, there were system table like sysdatabases, sysobjects etc. 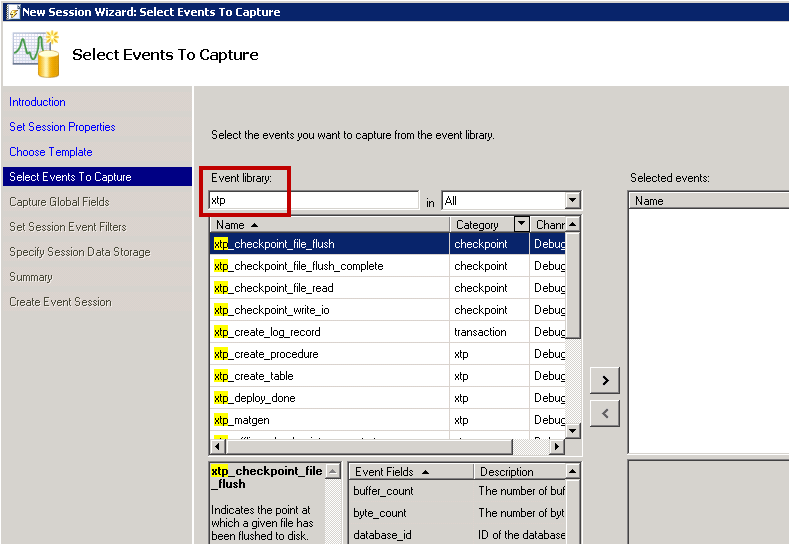 SQL 2005 and above the new concept of catalog view was introduced which is replacement of system tables. 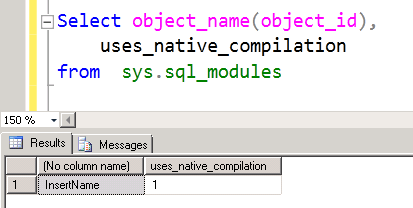 It is the way to see the catalog metadata of SQL Server. The data showed in the catalog view is physically stored on the disk. On the other hand, DMV is a dynamic management view. It’s similar to sysprocesses which we have used in SQL 2000. As soon as query is fired, the data is read from memory structures and showed in row-column format. 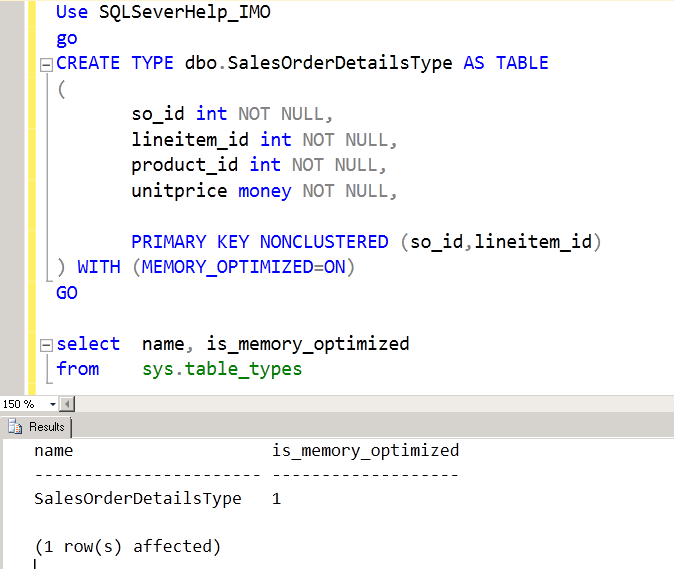 There are few new columns introduced in sys.tables to get details about In-Memory Tables. In my database, I have created two tables; One disk based and one in-memory optimized. Now, look at catalog view. With the introduction of Hash Indexes, there is new value for type_desc column as shown below. No Change in the columns but it’s important to note that since there is no sorting order in HASH Indexes, the column is_descending_key is shown as 0 which is ignorable. New values available in type column as below. A new column uses_native_compilation has been added to identify if it’s a natively compiled procedure. Same is true for sys.all_sql_modules as well. We already have a proc in the database. In next post, we would explore DMVs related to In-Memory OLTP. sqlserver after_natively_compiled_proc_entry_removal_on_drop xtp Debug Fired after the procedure cache entry is flushed when dropping a natively compiled procedure. sqlserver before_natively_compiled_proc_entry_removal_on_drop xtp Debug Fired before the procedure cache entry is flushed when dropping a natively compiled procedure. sqlserver natively_compiled_proc_execution_started xtp Debug Fired before a natively compiled procedure is executed. sqlserver xtp_create_procedure xtp Debug Occurs at start of XTP procedure creation. sqlserver xtp_create_table xtp Debug Occurs at start of XTP table creation. sqlserver xtp_deploy_done xtp Debug Occurs at completion of XTP object deployment. sqlserver xtp_matgen xtp Debug Occurs at start of MAT generation. sqlserver xtp_offline_checkpoint_scan_start xtp Debug Fired by XTP offline checkpoint when the checkpoint thread begins. sqlserver xtp_offline_checkpoint_scan_stop xtp Debug Fired by XTP offline checkpoint when the checkpoint thread stops. sqlserver xtp_recover_done xtp Debug Occurs at completion of log recovery of XTP table. sqlserver xtp_recover_table xtp Debug Occurs at start of log recovery of XTP table. sqlserver xtp_storage_table_create xtp Debug Occurs at just before the XTP storage table is created. XtpCompile cgen deploy Debug Occurs at start of C code generation. XtpCompile invoke_cl deploy Debug Occurs prior to the invocation of the C compiler. XtpCompile mat_export deploy Debug Occurs at start of MAT export. XtpCompile pit_export deploy Debug Occurs at start of PIT export. XtpCompile pitgen_procs deploy Debug Occurs at start of PIT generation for procedures. XtpCompile pitgen_tables deploy Debug Occurs at start of PIT generation for tables. XtpEngine xtp_create_log_record transaction Debug Fires when the XTP engine creates a log record. XtpEngine gc_base_generation_evaluation gc Debug Indicates that an evaluation of updating the GC base generation has been made. XtpEngine gc_base_generation_updated gc Debug Indicates that the oldest active transaction hint used for calculating the GC base generation has been updated. XtpEngine gc_cycle_completed gc Debug Indicates that a GC notification has been enqueued. XtpEngine gc_notification gc Debug Indicates that a GC notification has not being able to process a notification. XtpEngine xtp_checkpoint_file_flush checkpoint Debug Indicates the point at which a given file has been flushed to disk. XtpEngine xtp_checkpoint_file_flush_complete checkpoint Debug Indicates the point at which all in-flight buffers have been flushed to disk. XtpEngine xtp_checkpoint_file_read checkpoint Debug Indicates reading of a file in XTP checkpoint recovery. XtpEngine xtp_checkpoint_write_io checkpoint Debug Indicates that the checkpointing subsystem has issued or completed a write IO. XtpEngine xtp_root_deserialized checkpoint Debug Indicates that the load of a checkpoint root is complete. XtpEngine xtp_root_serialized checkpoint Debug Indicates that the write of the checkpoint root is complete. XtpRuntime bind_md deploy Debug Occurs prior to binding metadata for a memory optimized table. XtpRuntime bind_tables deploy Debug Occurs prior to binding tables for a natively compiled procedure. 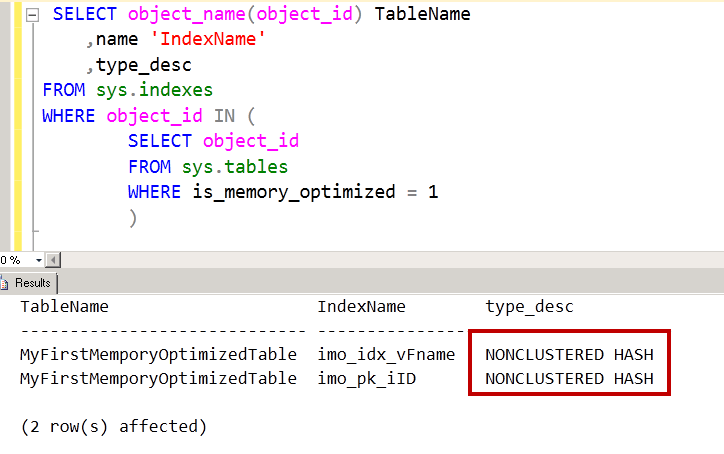 XtpRuntime create_table deploy Debug Occurs prior to creating memory optimized table. XtpRuntime deserialize_md deploy Debug Occurs prior to deserializing metadata. XtpRuntime load_dll deploy Debug Occurs prior to loading the generated DLL. XtpRuntime recover_done deploy Debug Occurs at completion of checkpoint recovery of a memory optimized table. XtpRuntime recover_table deploy Debug Occurs at start of checkpoint recovery of a memory optimized table. XtpRuntime serialize_md deploy Debug Occurs prior to serializing metadata. This output shows something interesting. Notice that most of the events are under “Debug” Channel. 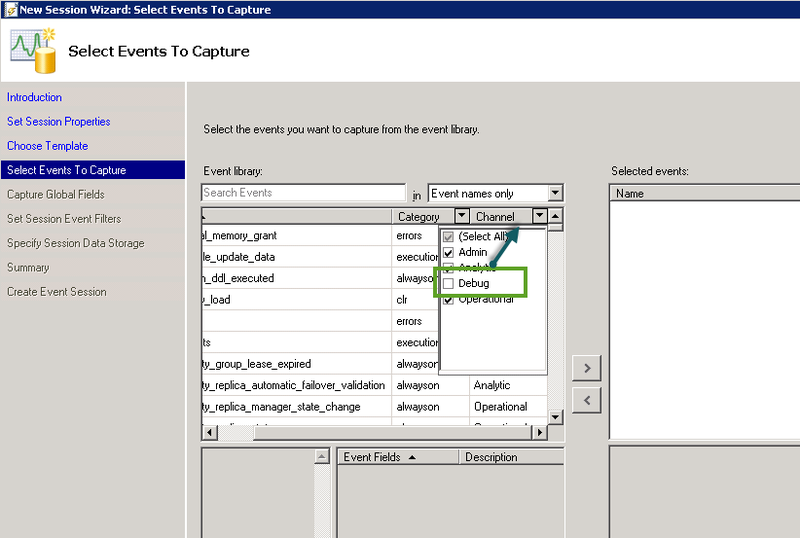 This means, if we would go to wizard of creation of XEvent session in SSMS, we would not see them because Debug channel is not checked by default. After checking Debug, we should be able to see the events. In below, I have put filter of work XTP. To demonstrate, I have created below XEvent Session. My database already has table and natively compiled stored procedure. I have put filter on database_id = 5 which you may want to change based on your system. After creating the session, I restarted SQL Server and after some time I executed stored procedure as well. As we can see in below that table DLL is loaded before database startup was complete. Also notice that stored procedure DLL was loaded when I have manually executed stored procedure. Wow! extended events have confirmed our learning about DLLs generation and loading. There are various extended events which can help us understand internals of hekaton / In-Memory OLTP. We will try to use more and see practical of theory which we have learned so far in this A-Z Series. Hope you have learned something new today!